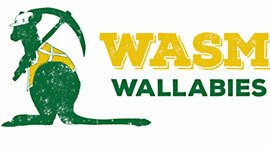 WASM Wallabies are a student run organisation studying at Curtin University to become Mining Industry professionals. We support the students' needs relating to their training facilities and equipment in preparation for their attendance at National events and Intercollegiate Mining Competition (ICMC), and believe our sponsorship is a worthwhile investment as these students strive towards obtaining their qualification and upon graduating will enter the Mining Industry. To accommodate our growing customer base, we will be moving our business to much larger premises located at 10 Hazelhurst Street, Kewdale 6105. The move will commence at 12pm on Friday 21st July and also require us to be closed on Monday 24th July. Our new premises consists of a 2,600 sqm warehouse, 900 sqm office and over 1,500 sqm of hardstand. Together with continual improvements in technology interface, distribution capabilities and stock holding, Integrated Industrial has firmly established our place as a major supply partner to the mining, oil & gas and off shore sectors both in Australia and internationally. Our team of 50 dedicated professionals are committed to achieving customer service excellence and going the extra mile to support all of your requirements. Our company has a very exciting future ahead and we all look forward to working with all of you in our journey. If you have any further queries please feel free to contact any of our team. We are proud to announce that we have changed our Company name from Integrated Industrial Mining Supply Pty Ltd to Integrated Industrial Pty Ltd.
Our company has gone through significant growth and transformation over the last 5 years and the new name is more reflective of the broader resource sector we now operate in. Our operations are more diverse and global in nature and we continue to focus on customer service excellence and tailor made solutions for our customers. We will continue to operate in our current structure and your contacts within the organisation will not change. There has been no change in ownership, team members or location and our bank account details, ACN/ABN, telephone numbers and postal address remain unchanged. Any existing email addresses you have on your system will continue to be received by the relevant team members. We kindly ask you to update your records accordingly and should you have any queries contact us via email accounts@intind.com.au or alternatively please feel free to contact me directly. This is a very exciting milestone for our Company and we remain committed to providing you with the highest level of professionalism and quality that you have come to expect from us. We look forward to continuing to strengthen our business partnership with you into the future. Integrated Industrial is delighted to announce that we have been appointed the WA Distributor for Castrol Industrial Lubricants. This distribution agreement gives Integrated Industrial access to the full range of Castrol Industrial Lubricants and we will be stocking and distributing a wide range of Castrol products. Castrol is the world leader in manufacturing and distributing lubrication products and operates in over 140 countries world-wide. Castrol are at the forefront of pioneering technology with 13 R&D centres globally working with leading industry OEMs. This announcement adds a new dynamic to the Integrated Industrial business and will provide all customers and end users of Castrol Industrial Lubricants with a cost effective and highly efficient distribution channel. As an ISO9001:2008 Quality Assured Company, Integrated Industrial is a market leading specialist supplier into the resource sector and is renowned for its can-do attitude and customer service excellence. Over the coming weeks we will be working closely with the Castrol team to refine stock holdings, channels to market and training of our highly skilled team. This is a very exciting development for Integrated Industrial and partnering with a world leading company such as Castrol will further establish Integrated Industrial as a market leader in the resources sector. For further information or to arrange onsite representation, please do not hesitate to contact us. After completion of an extensive systems review and evaluation, Integrated Industrial is pleased to announce that it has successfully completed the final stage of ISO 9001:2008 Certification. The comprehensive system audit covered every aspect of operations within Integrated Industrial and was conducted by SAI Global, one of the worlds leading business publishing, compliance and assurance organisations. "Anyone who has been involved in quality assurance understands the demanding requirements of ISO 9001:2008 Certification and this is representative of the high standards Integrated Industrial operates to" said Rod Cox, Managing Director of Integrated Industrial. "Our business has always been focused on continual improvement and every individual team member in the organisation is dedicated to the pursuit of quality and I thank them all for their support. By continually reviewing and assessing our business at every level, we assure our customers that we are committed to providing them with customer service excellence and the highest quality products every time." "We have a number of very exciting projects on the go this year and all are designed to further improve our operational processes and service offering to customers" he added. Over the last 4 years Integrated Industrial has continued to exceed growth expectations and is now well positioned to launch into the next phase of strategic developments. For further information please contact Rod Cox, Managing Director or Gavin Moore, Operations Director. In the current challenging economic environment Integrated Industrial continues to exceed growth expectations and will finish the 2013 financial year in a strong position. "We have a number of projects on the go at the moment, all are focused on process and productivity improvements and continuing to achieve customer service excellence is our key driver," said Rod Cox , Managing Director. "We are well advanced in achieving ISO 9001 certification, investing heavily in IT and electronic cataloguing, improving warehousing capabilities with a mezzanine floor and much much more," he added. The solid foundations of the Integrated Industrial business has seen the customer base increase significantly over the last few years, all of which has come from referrals from the existing customer base. Integrated Industrial was recently awarded the industrial consumables supply contract with Newmont Asia Pacific after an extensive review by Newmont of value proposition and capabilities offered by Integrated Industrial. "We have been dealing with Newmont for some time and they have been very impressed by our consistent high level service offering," said Gavin Moore, Operations Director. "Our commitment to our customers is to deliver a level of service and support unmatched in the industry," he said. With an ongoing aggressive growth strategy Integrated Industrial has become a major player in the mining, oil & Gas and offshore sectors in Australia, Africa and Asia. Growth over the last 3 years has exceeded 125% and the management team at Integrated Industrial has the structure and plans in place for this to continue. With a team of 32 committed professionals, Integrated Industrial is your complete supply chain solution. Following continued and strong growth Integrated Industrial will be relocating to new premises in Belmont in early April. “We are really excited about the move and the new premises will cater well for our team which has doubled over the last few years. The additional warehouse and hard stand will allow us to improve stock holdings and process all orders with greater efficiency” said Rod Cox, Managing Director. The move to new premises is part of an aggressive growth strategy implemented by Integrated Industrial and they are well ahead of target for the first half of the financial year. The new address for Integrated Industrial will be 99 Robinson Ave, Belmont and further details will be provided to customers and suppliers closer to the move date. For further information please call Rod Cox, Managing Director or Gavin Moore, Business Development Manager on 1300 787 995. In line with Integrated Industrial’s strategic growth plan to drive revenue and become the best in class, one-stop industrial supplier to the Oil and Gas and Mining sectors, Integrated Industrial has acquired and will merge with Kooyong Industrial Supplies (“KIS”) as of February 1, 2010. KIS is a specialist supplier in the marine and industrial sectors both in Australia and internationally. Both the Directors of Integrated Industrial and KIS are very excited by the opportunity and feel that it will add further value to both Integrated Industrial and KIS customers through increased purchasing power, wider product range and improved systems and technology. KIS has a leading sales and management team, headed up by Greg Marrell and Alan Turner who founded the KIS business. Both Greg and Alan have extensive experience in the marine and industrial supplies industry and with over 50 years combined experience they have comprehensive knowledge of all products and place a large emphasis of exceptional customer service. These factors have led to the success of the KIS business. Integrated Industrial are delighted to have Greg and Alan join the team. Integrated Industrial and KIS will become a fully integrated entity as KIS will re-locate to Integrated Industrial’s head office located at 7 Mandarin Road, Maddington. The Integrated Industrial Group will continue to provide, at all times, a high level of customer service, a superior cost effective product offering and timely delivery. Integrated Industrial has recently joined Australian Industrial Supplies (AIS) which is a group of over 112 industrial supply companies across all states of Australia. Part of the benefits in being a member of AIS is the access to a full colour 800 page industrial product guide and bi-monthly sales catalogues. The product guide is very informative and gives a good indication of the vast array of industrial products and consumables available from Integrated Industrial. For your free copy of the Integrated Industrial/AIS product guide or more information on our product ranges please contact Integrated Industrial today. To strengthen its drive to become the best in class mining and industrial supply service in Australia, Integrated Industrial has appointed Gavin Moore to the newly created role of Business Development Manager. With a career in the mining, industrial and automotive sectors spanning 18 years, Gavin's key responsibilities will be visiting new and existing customers, ensuring they benefit from the exceptional customer service and added-value that Integrated Industrial is recognized for. Since 1990 he has held a number of key positions, starting as a senior accounts manager for Coventry's in the Mandurah region focusing on the Alcoa sites. He then moved into the position of Mining Contracts Manager in Kalgoorlie, travelling throughout the Goldfields establishing key consumable contracts. In 1997 Gavin relocated to Karratha to manage the Northwest operation of Coventry's, with a major focus on the Hamersley Iron supply contract. He then spent two years in Sydney in an operations role before returning to Perth in 2004 to take up the senior position of Mining & Industrial Supply Manager for Coventry’s. During this time Gavin managed and coordinated key supply contracts with Rio Tinto, BHP and major mining contractors including Barminco and Byrnecut. 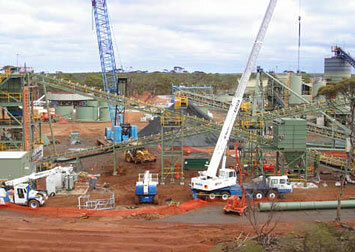 The role also included managing many other mining consumable contracts within the Goldfields and Northwest regions. Gavin was then promoted to Coventry's Area Manager overseeing 11 regional branches. Prior to his move to Integrated Industrial Gavin was Coventry's State Operations Manager in the Northern Territory. "Gavin's extensive experience and knowledge will further reinforce the team at Integrated Industrial and assist us in delivering outstanding customer service and the unique added value our customers enjoy. We are delighted to have him on board," said Rod Cox, Integrated Industrial Managing Director. Integrated Industrial has appointed a new Managing Director whose operational and strategic experience in mining supply will ensure the company secures itself as the best in class one-stop mining supply service in Australia. 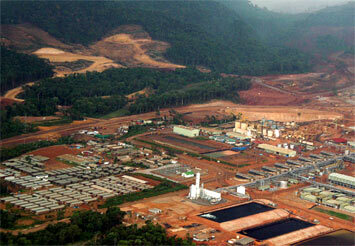 Rod Cox has been involved in automotive, industrial and mining supply for over 20 years. His career in supply chain and distribution commenced in 1985 with Atkins Carlyle, in Kalgoorlie. He subsequently held a number of senior roles with the company in Western Australia, Northern Territory and South Australia. In 1997 he moved to Darwin as General Manager of a highly successful automotive and industrial supply company which was acquired by Coventry's in 2004. Following the acquisition he moved to SA as Coventry's Regional Manager SA/NT and in 2007 was appointed Regional Manager WA/NT. Originally from Perth, Rod is in the final stages of completing a post graduate business degree and joins the Integrated Industrial team with many years of industry experience and a passion for customer service and excellence. "I've used Integrated Industrial for the past nine years and have enjoyed impeccable professional service and competitive pricing. On many occasions we have had difficulty sourcing obscure items and this is where Integrated Industrial - with their extensive knowledge in the mining and associated Industries - come into their own." "This has been a very busy time in our start up, with sometimes very urgent requests made. On not one occasion have we been let down by Integrated Industrial and the response to any purchase and pricing requirement has been excellent. Thank you for all your endeavours - look forward to the same in future." "Thank you for the excellent service you have provided over the last 15 years. In today's environment it's great to still be able to get good old fashioned service from a company like Integrated Industrial. When you say 'your one-stop shop for all your Industrial and Mining supplies' you actually mean it and deliver on that promise."